Nestled just outside of Cincinnati lies a foodie haven. 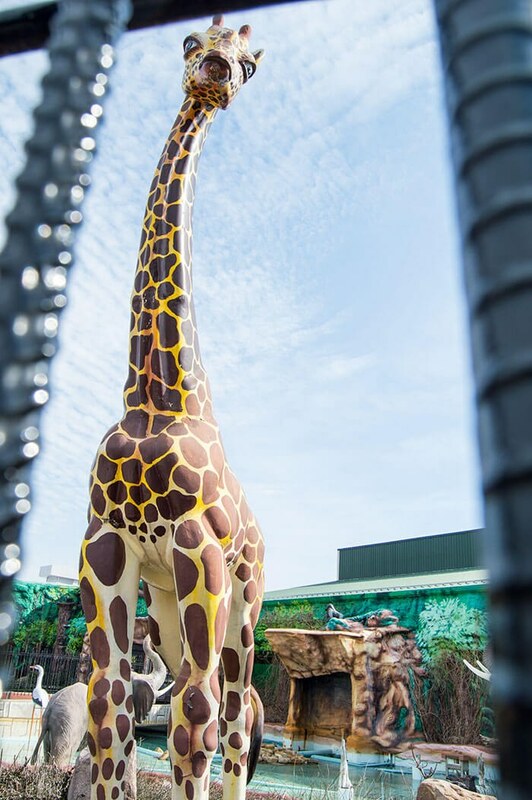 Arguably the largest international grocery store in Ohio, if not the nation, Jungle Jim's is much more than your average supermarket. 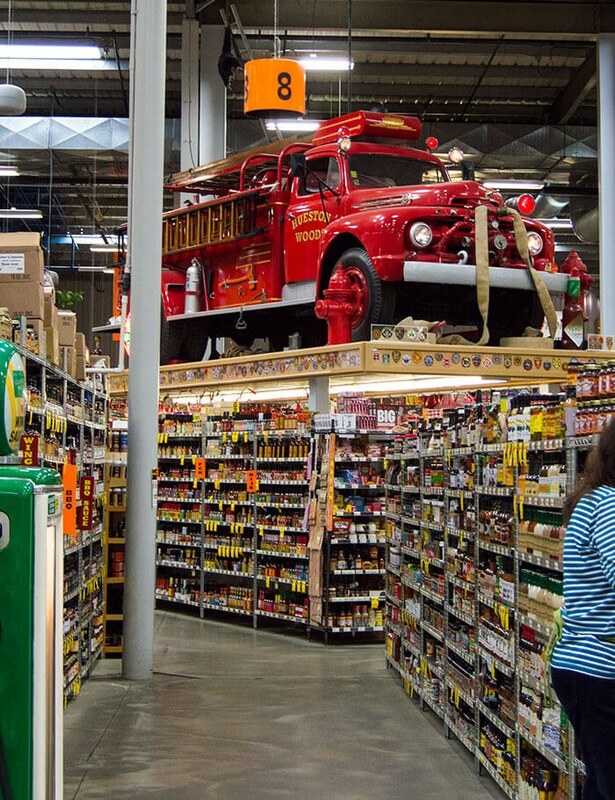 At a massive 200,000 square feet, the store covers over six acres of land and carries over 150,000 products from all over the world. And believe it or not, but it all started out as a fruit stand. The drive into the parking lot is an experience in itself - so I'll leave that up to worthy travelers to discover. But it involves a monorail train and a dragon. That's all I'll say. As you walk up to the front of the grocery store, you are greeted by a literal jungle of animals - all trumpeting, roaring, and screeching away. On one side, there's a large plant and garden center (which unfortunately I was there in February, so no fun garden toys for me!). 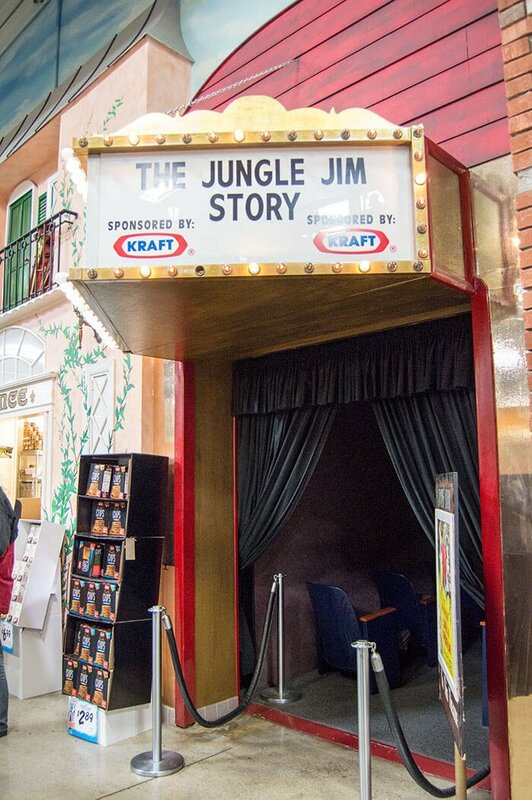 Also included in this place is a toy store, a restaurant, a mini movie theater and a large functioning bank. I grabbed a cart, knowing for a fact I'd be filling it up, and entered the building - on either side of the doors are large flashing lights that say "START YOUR CARTS." Walking in is a touch deceiving but still absolutely overwhelming. Over on one side, there's the building for the bank. Like a literal building, inside the store. Next to that, a colorful entrance to the toy store. And then the sushi stand. 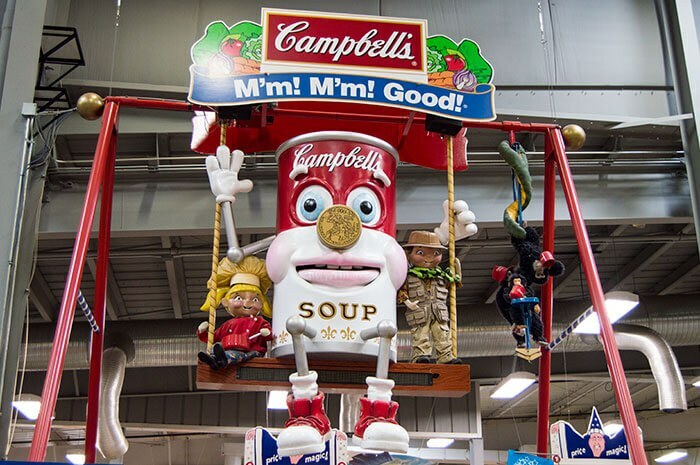 On the other side, there's this giant Cambpell's soup can staring at you with large dead eyes. Turns out, he hangs above the "American section" - because after all, Jungle Jim's is a grocery store first, and an international market on the side. 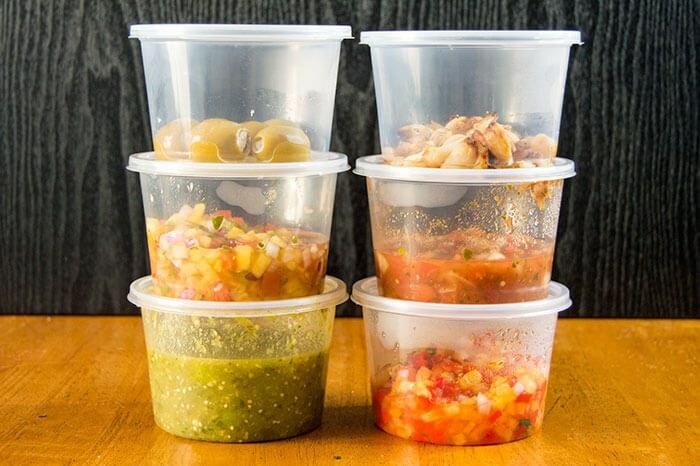 I felt a little uneasy with him staring at me while I perused the rows of familiar items, so I gravitated toward the Olive Bar and fresh salsa. 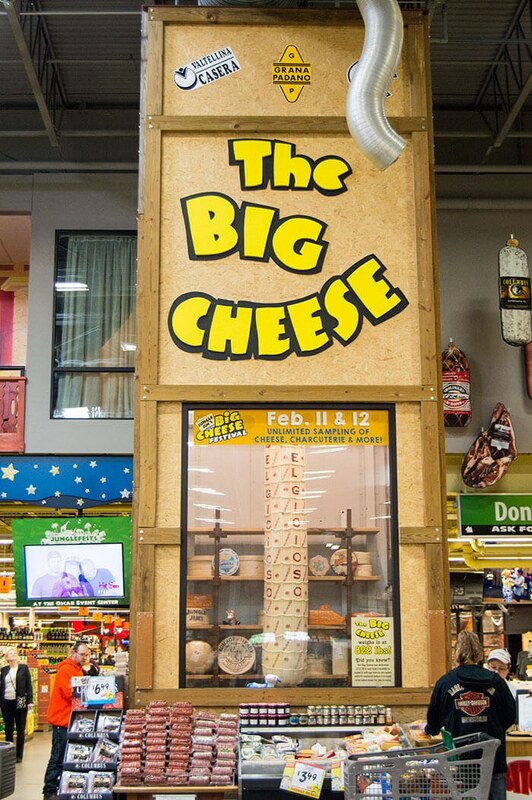 At this point, you round a few barrels of giant pickles and are greeted by "the big cheese" which is literally a whole 822 pounds of cheese, suspended in their cheese room. Beyond "the big cheese" is a large assortment of cheese from around the globe, a gigantic display of international butters, and their world renown beer, wine, and liquor selections. 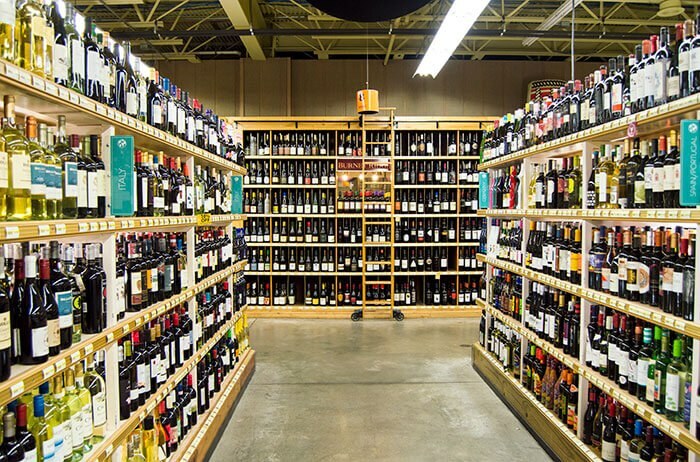 There are literal aisles upon aisles of beer from tons of craft breweries and wines from around the globe. You can also dine at the in store restaurant before you get to the rest of the store, or grab a cup of coffee from the in store Starbucks. Hidden in the beer aisles, near the in store cooking academy, there are two abnormally large port-o-potties. I swear the first time I ever came to Jungle Jim's (sometime in high school, over ten years ago) I literally nearly sh*t myself when I opened the door. 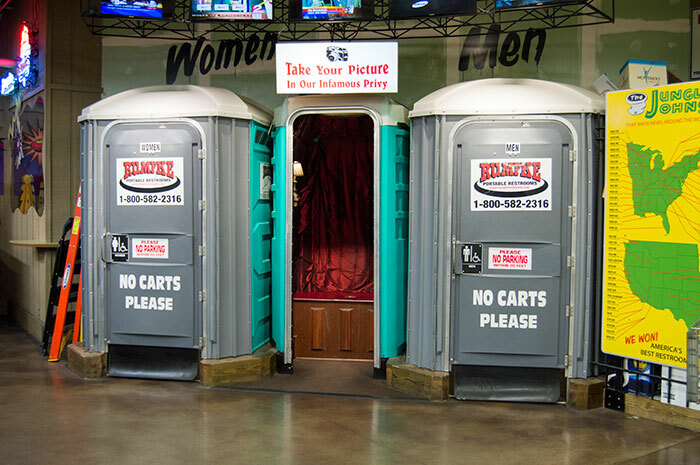 There's a reason these port-o-potties are known as "America's best restrooms." And I'll let you discover that for yourself! As you round back to the main part of the grocery store, there's a massive section of candy, Pez dispensers (the largest selection in Ohio, so I'm told) and jelly beans galore. And yes, that is a bumper car display of candy. 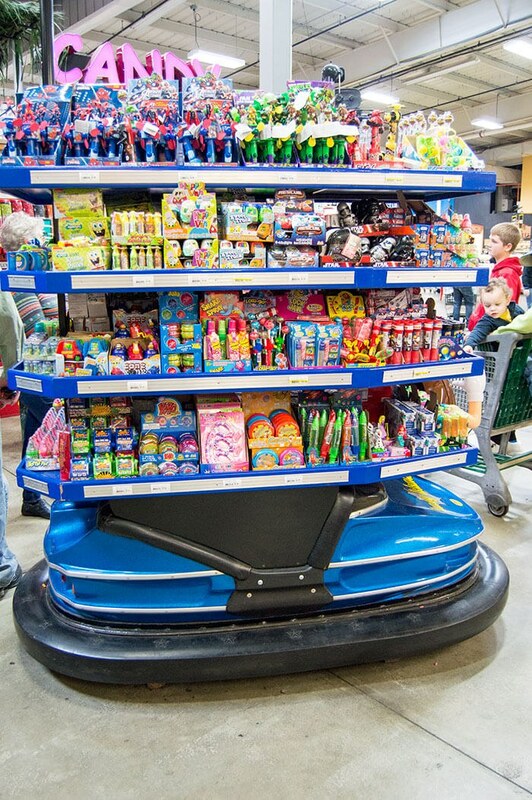 There are several bumper cars in the candy section, all displaying candies from not only every popular kids movie and toy imaginable, but also old fashion candies that are produced in only small quantities. If there's a specific candy or chocolate you are desperate to find, you'll surely find it here. 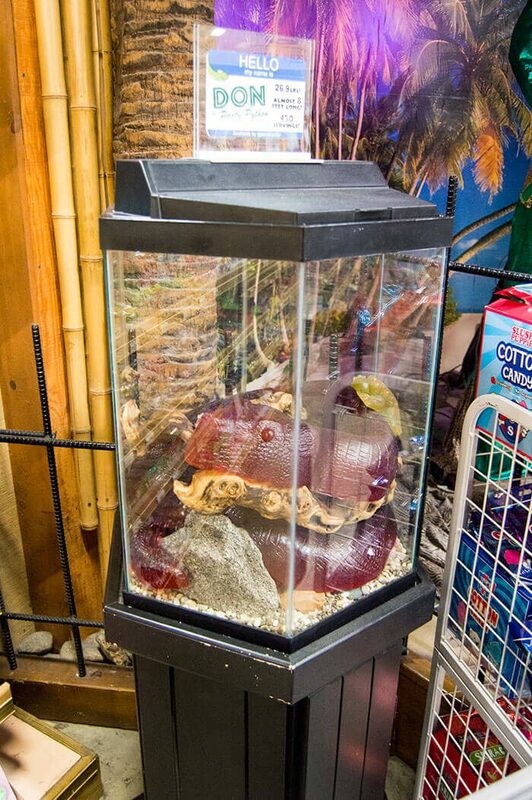 There's even a giant EIGHT FOOT LONG gummy snake, protected in his own terrarium. To his side, a lion dressed as Elvis sings old timey tunes every five minutes. Jungle Jim's also boasts a massive bakery, where they hand make all of their fresh breads, pastries, and pies. 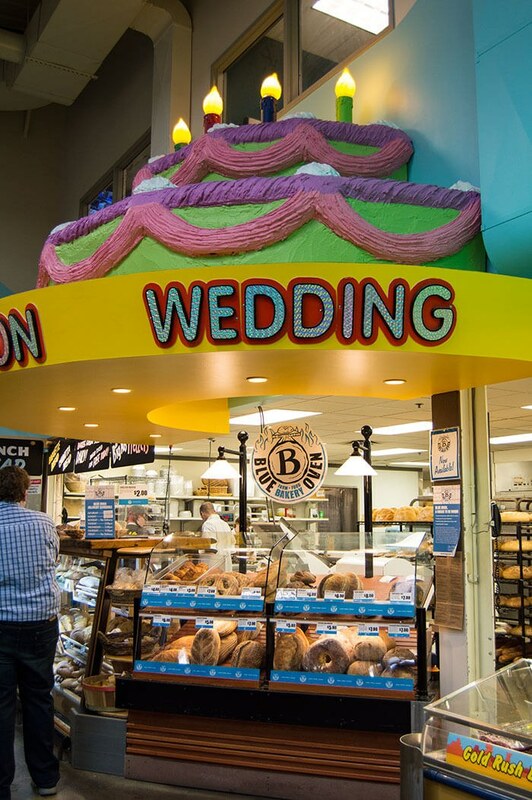 From rolls to loafs and even wedding cakes, they can do it all. There's also a large selection of dog treats from a local Ohio dog-centric bakery as well! Theo and Luna definitely got some treats. Beyond the breads lies a large selection of practically any cut of meat you can imagine. If you put your mind too it, you could certainly reassemble and entire cow, pig or chicken - including their heads, intestines and feet! With options like chicken talons and pig snout, there's meat here for everyone. 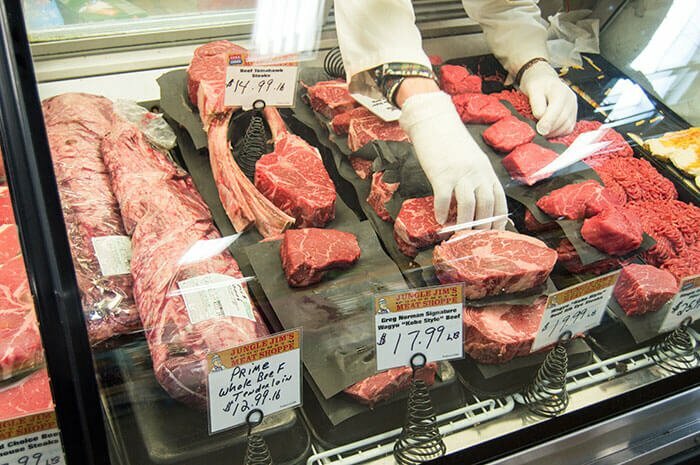 To the other side of the meat department is a big case of exotic meats including, but not limited to, bison, elk, ostrich, rabbit, alligator, and literally dozens of others. After strolling through that section for far too long, I meandered through their huge selection of exotic jerky - and even grabbed some kangaroo jerky to try. At this point, the check outs are in sight, but don't let this deceive you. After rounding a bend, suddenly, fruit is everywhere. 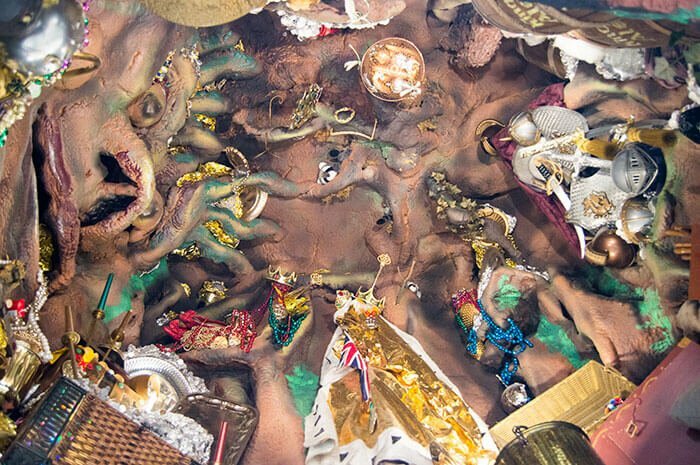 Mostly things you'll recognize, but definitely some fun new things you've never heard of. 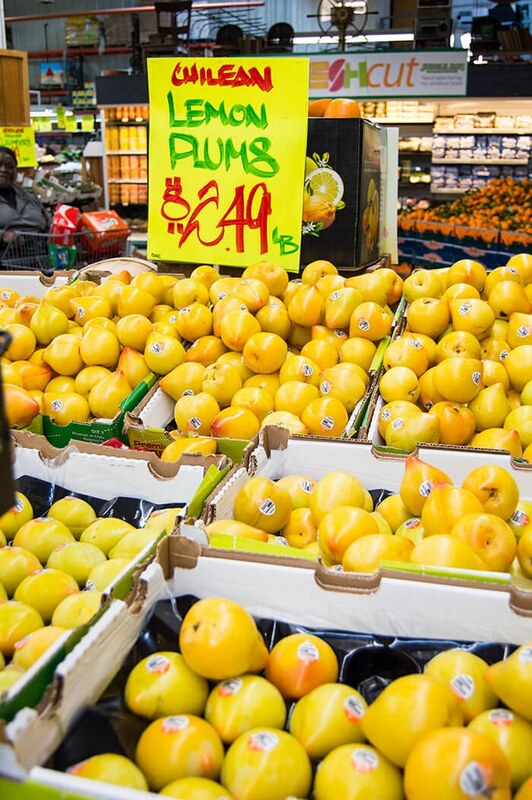 Jungle Jim's started as a fruit stand, so they certainly take pride in their selection of fruits and vegetables. 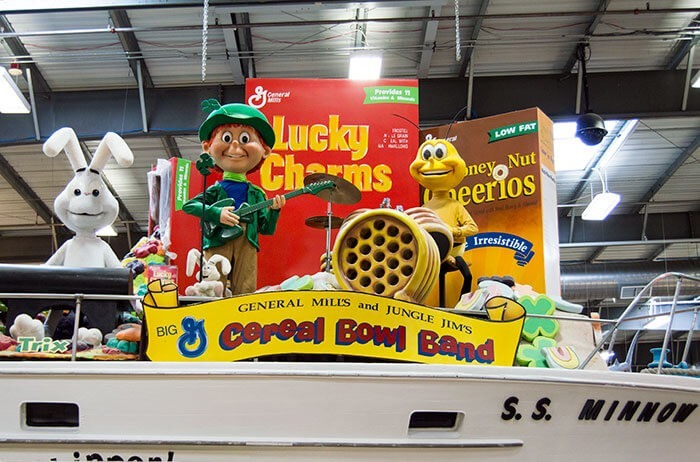 Beyond the rows upon rows of fruits and vegetables, a cereal bowl band aboard the SS Minnow greet you with, of all things, Beatles songs. Their automation hasn't gotten any better over the years, so it's extra funny to watch their performance. Located in the fruit area is a mysterious section that looks kind of like the extension to the candy aisle. But there's something...different about these suckers and snacks. They are filled with BUGS! That's right, here you can purchase meal worm lollipops and bacon cheese flavored crickets. Oh and canned tarantula too. 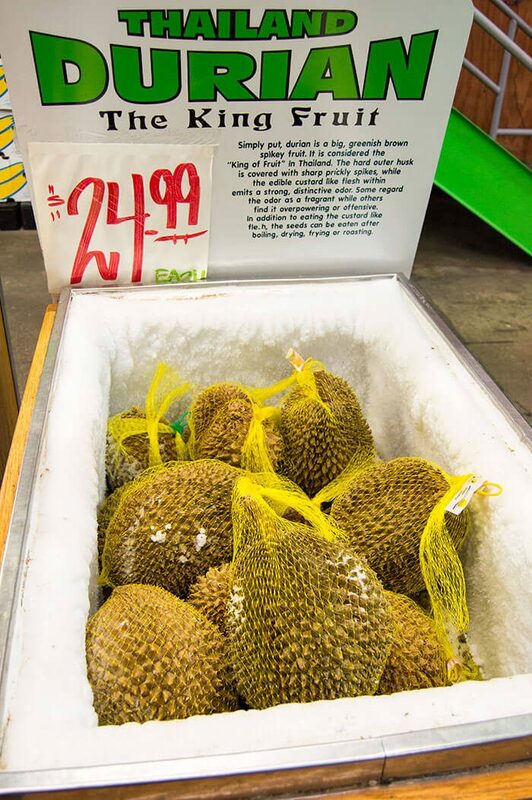 You'll encounter many weird things at Jungle Jim's but nothing as weird as the durian, or 'king fruit', which is apparently the worst smelling fruit known to man. I was tempted to buy one of these things just to say I had tried it, but the 'fragrant but offensive' smell kept me at bay. When you've reached the durians, you'll know you've reached the international fruits - and this is where things get weird! 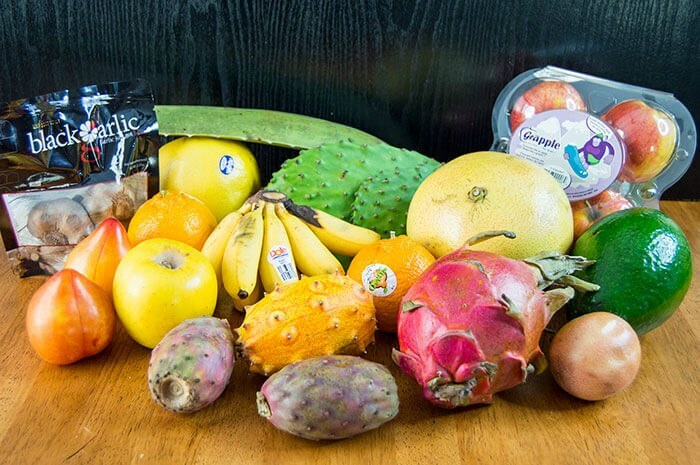 You can pick up cactus paddles, bitter melons, kiwanos and hundreds of other fun and interesting fruits from around the world. 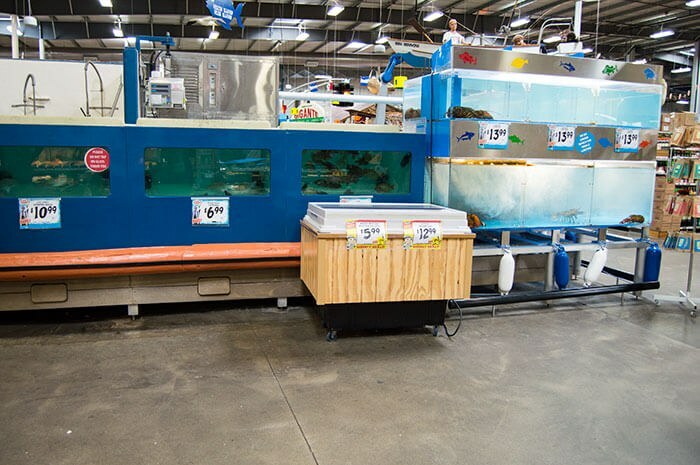 Yet another unique feature of Jungle Jim's is the fresh fish. Like grown-in-store still-alive-in-tanks fresh. This area was bustling with people - just behind me out of shot is a huge counter of fresh fish from octopus and clams to whole mackerel. And just beyond that, another whole ice counter is lined with more exotic and rare choices. This is where the true grocery part of this grocery store starts - and you are dropped in the middle of Asia first. 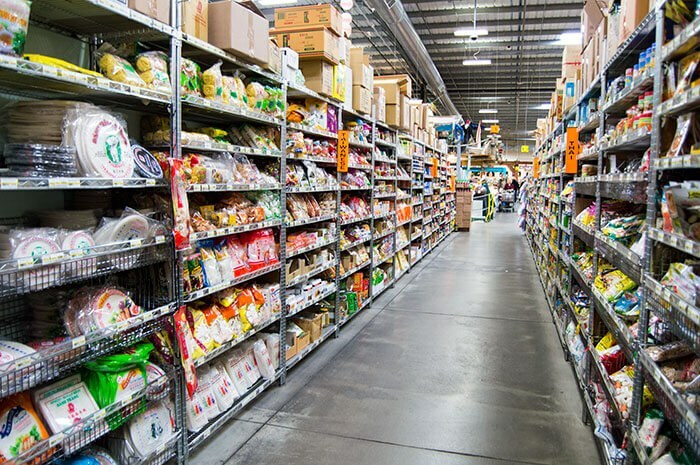 Literally rows upon rows of foods from China, Japan, Taiwan, Thailand, and dozens of other Asian countries with thousands of Asian products. Most don't even have English anywhere on the packaging. 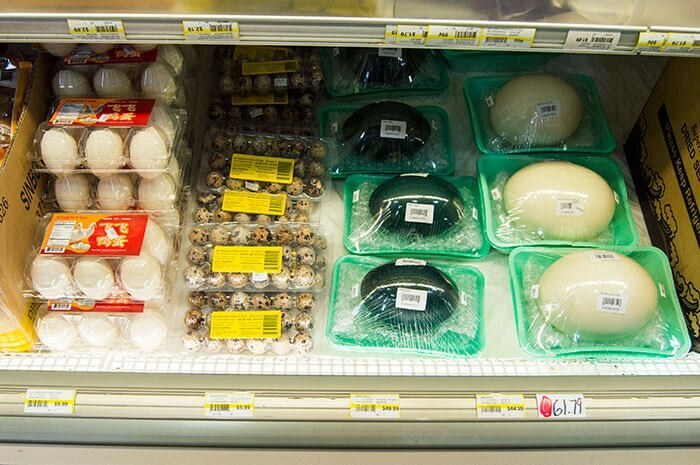 Here's where you can also find some fun meats and eggs - including duck, quail, emu and ostrich. I picked up some quail eggs myself, as they were the cheapest option but also something I've never tried or cooked with. 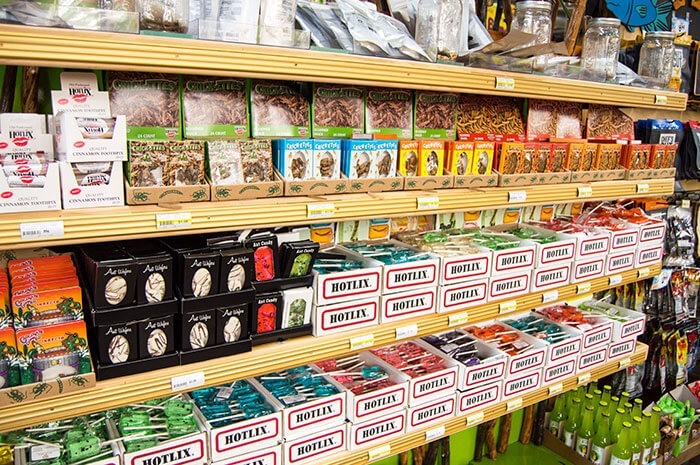 If you're looking for hot sauces, Jungle Jim's also has probably the largest selection you'll ever see - with over 1500 different hot sauces, ranging from mild to sweltering. Nick and I have been into trying new hot sauces lately, so of course I had to take a gander. I've watched it before, but knowing I still had a good hour of shopping ahead of me, I pushed on. 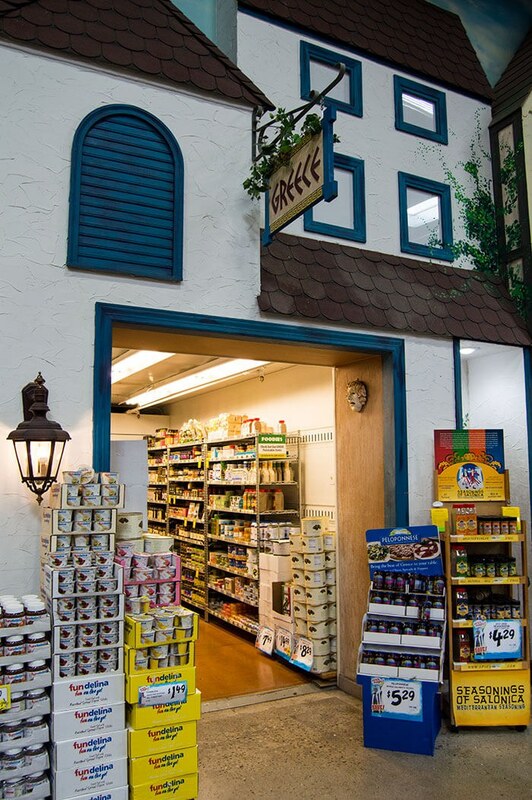 On this wall of the store, there are individual rooms that are designed to look like their own little countries. 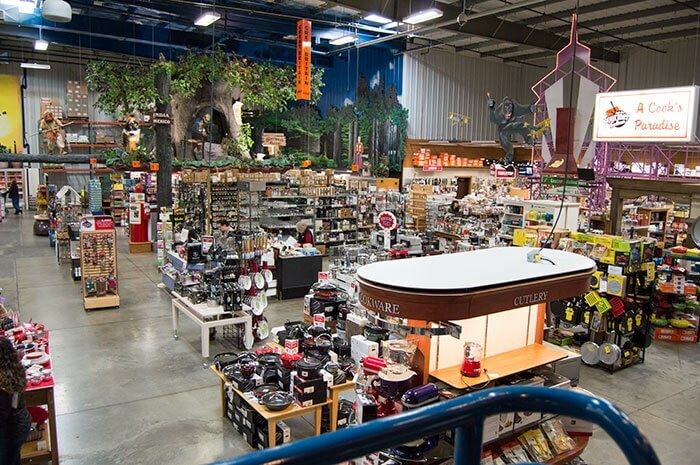 Beyond that, there's an entire pet store with over eight aisles of treats, food and toys - not just for dogs and cats, but birds, lizards, and even livestock like horses. Jungle Jim's also boasts the largest gluten free section, located within the natural foods section, which also goes on for rows upon rows. 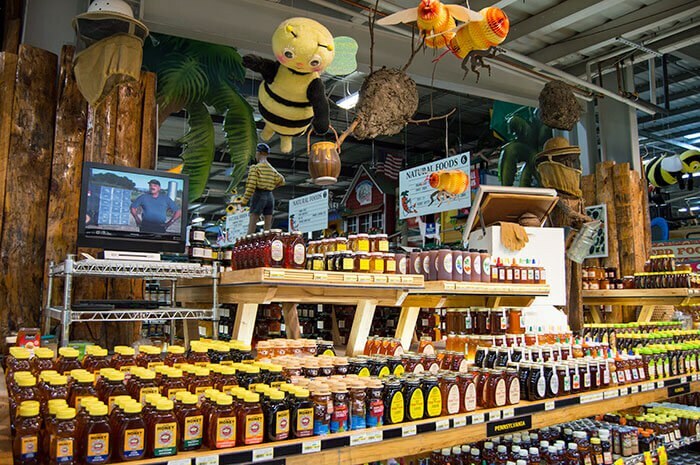 Once you hit the honey section and frozen foods (which again, crawl for rows and rows and have every type of ice cream and frozen meal you can think of), you'll meander through the "As Seen on TV" section of products and finally reach the checkouts. Even the check out lanes are lined with fun candies and specials - I had to keep myself from putting more in my already full cart. My overall trip through the store took about three and a half, almost four hours. Of course, I was taking pictures and taking my sweet time, but if you want to go check this place out for yourself, definitely give yourself a solid two hour block to view it all (and that's not stopping to shop!). If the garden center had been open, I could have seen myself easily spending five or six hours there. It's seriously such a fun experience - so next time you are in Southern Ohio, be sure to check this store out! You can view the rest of my pictures from this excursion in the gallery below, too! I took well over a hundred images, but I'm only sharing the best with you here! Naturally, I assumed most people would be interested in checking out what I actually bought while I was there. Well let me be the first to tell you - there are going to be some WEIRD recipes coming up! From the fruits I picked up what I called "the most interesting bowl of fruit in the world" which includes commonly found fruits like pummelos and opal apples, to giant fruits like jumbo avocados and sumo mandarins. I also grabbed an ugly fruit, some prickly pears, grapples (which are grape flavored apples), and mini bananas. For some experimenting I grabbed dragon fruit, cactus leaves, and aloe. Not to mention the black garlic, passion fruit and lemon plums too. In the beginning of my adventure I mentioned the Olive and Salsa bars - there I picked up some delicious avocado salsa along with ghost pepper salsa; and a peppadew salsa and a pineapple salsa too. I grabbed some olives stuffed with feta and roasted garlic too, for some simple side dishes or pizza toppings. Probably my favorite purchases from Jungle Jim's were the array of exotic meats that are now stashed in my fridge and freezer. From top shelf filet mignon to alligator sirloins, rattlesnake and tarantula also joined my collection of unusual meats. 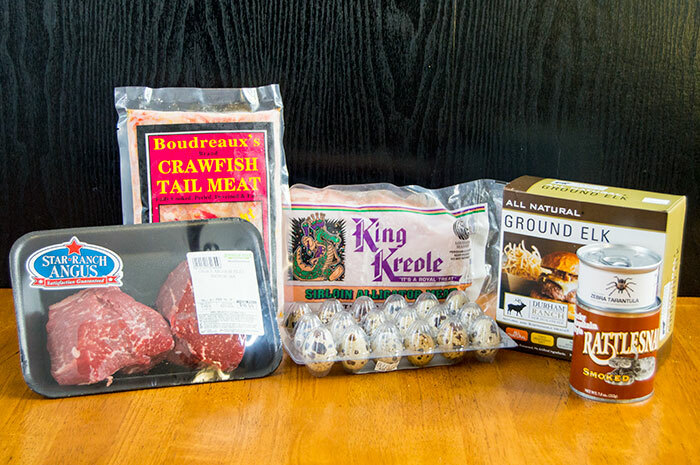 I'm especially excited to try the crawfish and ground elk. And the quail eggs are literally so adorable, I'm not sure if I can bring myself to eat them. 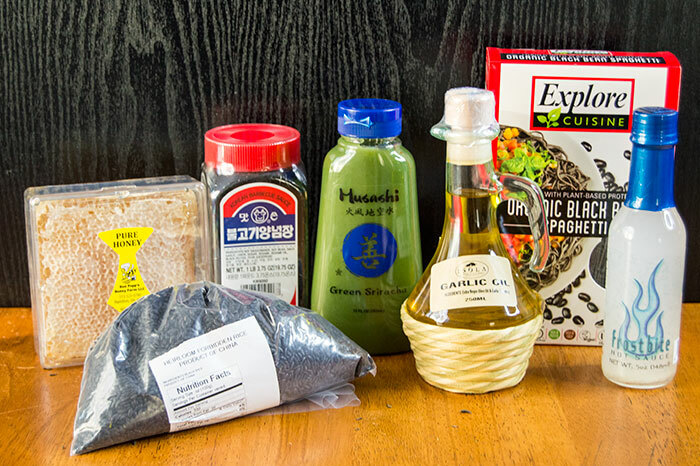 My pantry also grew with interesting items like forbidden rice, frostbite hot sauce, raw honey comb, green sriracha (something I'd never even heard of!) and authentic Korean BBQ sauce. I also picked up some garlic infused oil from the Italy aisle and found some black bean spaghetti that I've been anxious to try. 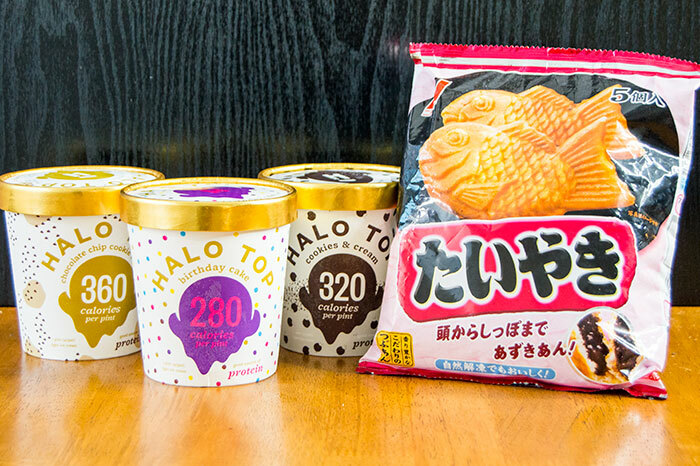 If you've never heard of Halo Top ice cream, you should go out and find some right now. Around our house, most local stores only carry one or two flavors, but here there were dozens. I also grabbed some fun Chinese (maybe Japanese??) pancake fish that are filled with chocolate. I also grabbed some bola bola - which I've eaten as for the last three nights because they are so good. If anyone can tell me what the black stuff is in the package below is, I'd be grateful. 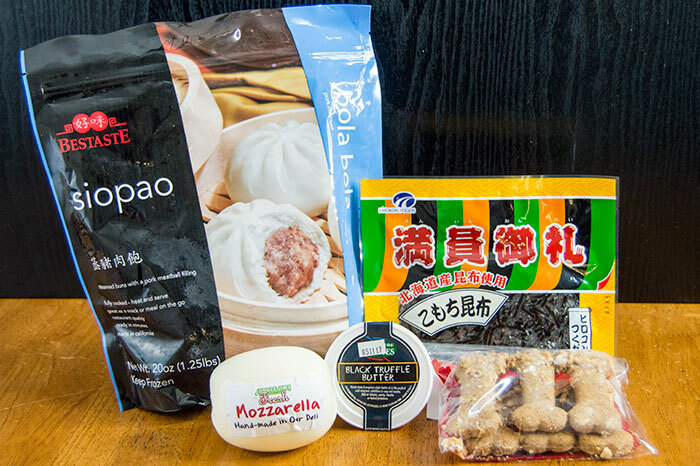 Some of the more 'miscellaneous' items I grabbed were black truffle butter, handmade mozzarella, and of course, dog treats for my babies! There aren't really many more words that I can say about Jungle Jim's. It's truly a place you need to experience for yourself. Only a handful of what I saw I actually wrote about (otherwise, this would be a novel!) Check out the pics from the rest of my trip below!